Giancarlo Esposito is one talented veteran who is no stranger to the applause as he has been acting ever since he was a kid. Though he started out as a broadway actor thanks to his family’s influence, he has gone on to add director to his resume. 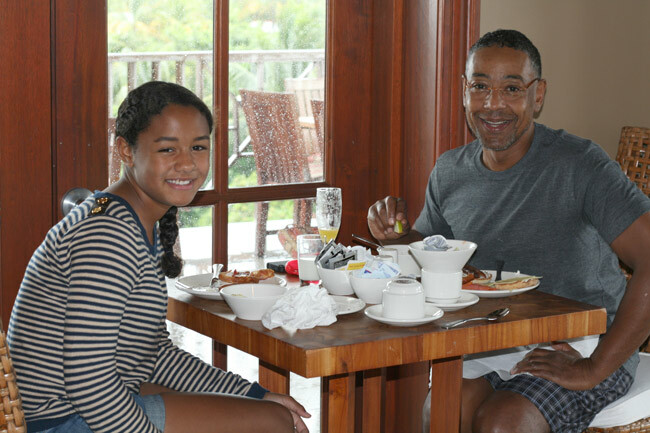 Popularly known for his role as “Gustavo Fring” on the hit show “Better Call Saul,” he is a man who loves family and likes to make time for them no matter how busy his schedule gets. Giancarlo has definitely come a long way in his career and personal life in general. Read on to discover more about him. Giancarlo Giuseppe Alessandro Esposito is American actor who was born to father, Giovanni Esposito, and mother, Elizabeth Foster, in Copenhagen, Denmark, on the 26th of April, 1958. At the time of his birth, his parents were working in Europe, however, in 1966, they decided to relocate to the United States and settled in Manhattan. This was when Giancarlo was six years old. As a result of the fact that he came from a theatrical background, not long after the move to the US, he started acting in a good number of plays and has been an active actor ever since he was a young boy. His debut role was actually on Broadway where he acted the part of a slave child on the play “Maggie Flynn,” at just eight years of age. He earned a two-year degree in television communications and radio from the “Elizabeth Seton College” located in New York City. In the 60s and early 70s, more Broadway gigs came through for him alongside few movie roles. Later on, a chance to work on TV came up in the 80s when he began getting more significant roles to play as a well-established character. After his Iconic performance in the TV series, Homicide: Life on the Street, 1993- 1998, his fame saw meteoric rise and has been a frequent star on the silver screens. Giancarlo Esposito is a man of mixed heritage. His father is an Italian man who worked as a carpenter as well as a stagehand. On the other hand, his mother, Elizabeth Foster, is an African American woman from Alabama who worked at a nightclub as an opera singer. In terms of marriage, Giancarlo has been married before. He first tied the knot with Joy McManigal in 1995 and they were head over heels in love with each other. Interestingly, they married in the period when Giancarlo’s career was quite a young one. As a couple, they became parents four times to four lovely girls including; Kale Lyn Esposito, Syrlucia Esposito, Ruby Esposito and Shayne Lyra Esposito. The couple has however split with the main reason being that they decided to go find themselves once again. While the exact date of their split isn’t known the pair were at least married for over 20 years. Also See: Where Are O. J. Simpson’s Kids (Sons and Daughters), What Are They Up To? Hollywood can be fair sometimes, other times it might not be so subtle. In Giancarlo’s case, it has been a jolly good ride and not just in the quality of work he has done, these achievements have been backed up by millions of dollars in the bank. Carlos is indeed a successful man as his estimated net worth sits pretty at a whopping $6million. Giancarlo is no doubt a charmer as he has won many hearts with his looks in the past and he still does; it seems the saying “black Don’t Crack” is actually real. What makes him even more exotic is his mixed-race heritage, his black hair, light brown eyes plus his weight (63 kilos) which is pretty good for a man his age. Another notable attribute he possesses is his height. Giancarlo stands tall at an enviable height of 173 cm (5 feet 8.11 inches).